The ON2 Remote Oxygen Concentrator System (ROCS) is designed to meet a variety of hospital needs and building constraints. The unit can be placed onsite at a hospital that does not have the required space indoors to attain the benefits of on-site gas generation. 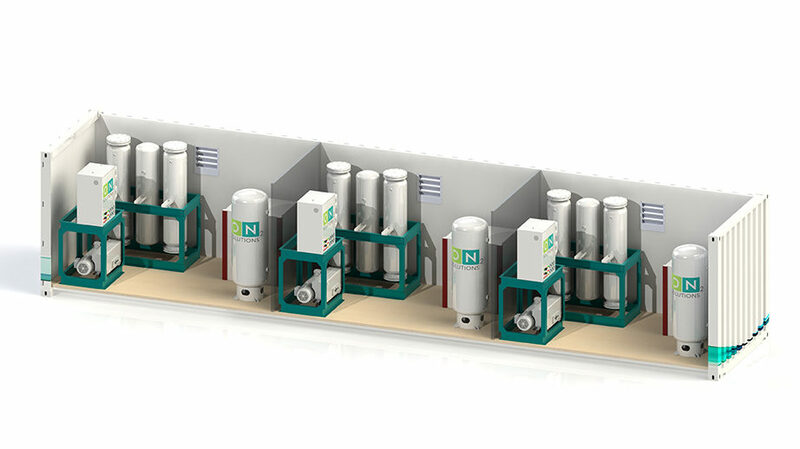 The unit can also be used to provide an Oxygen Concentrator with a Distribution Panel and/or Cylinder Filling Station, making the hospital completely independent of gas supply companies. The ROCS can be configured to handle the most extreme of weather conditions and be deployed with the minimum of logistics support from the hospital. Regardless of configuration the ON2 system is designed to meet the CAN/CSA-Z10083-08 and ISO 10083 standards for Oxygen Concentrator Systems.